Apple has been testing its autonomous driving systems on California roads using Lexus RX450h SUVs for almost two years. The tech giant has for the first time filed its disengagement report with the California Department of Motor Vehicles (DMV). On Tuesday, the DMV published disengagement reports for the period of December 2017 to November 2018. The DMV data shows that Apple was the worst performer in self-driving car disengagements. The DMV has taken down the report from its website, and is expected to republish the full report later this week. However, The Last Driver License Holder has summarized data for all companies testing self-driving cars on public roads in California. According to the report, Apple had 62 self-driving vehicles on public roads, though recent reports suggest the tech giant has 72 vehicles on California roads. Self-driving car disengagements refer to the number of times an autonomous vehicle gives control back to a human driver because it’s unable to make decisions based on current data. It also includes instances when the the safety driver manually takes control of the vehicle to override the autonomous system’s decisions. The DMV has designed disengagement protocols to let manufacturers test their self-driving cars on public roads while ensuring the safety of other people on the road. However, it’s not always effective. Apple’s autonomous driving vehicles were involved in two accidents last year, though both of them were minor. The August collision occurred when the vehicle was in self-driving mode while the October collision took place when it was controlled by a human driver. According to the DMV data, Apple logged 871.65 self-driving car disengagements for every 1,000 miles traveled. The Cupertino-based tech giant sat at the bottom of the list of the 28 companies testing autonomous vehicles on California roads. Apple vehicles had one disengagement for every 1.1 miles driven. By comparison, Google’s Waymo had one disengagement for every 11,154 miles in the same period. It means Waymo vehicles had an impressive 0.09 disengagements for every 1,000 miles. GM Cruise vehicles logged 0.19 disengagements per 1,000 miles or one disengagement per 5,204 miles. Zoox vehicles handed over control to the safety driver once every 2,000 miles. Looking at the bottom of the list, SAIC vehicles logged 1.2 miles per disengagement, which is only slightly better than Apple. Test vehicles from Mercedes-Benz (1.5 miles per disengagement), Honda (2.2 miles), and Qualcomm (2.4 miles) were other poor performers. In total, the 28 companies testing self-driving vehicles in California have logged 73,550 disengagements over 2,009,474 miles of driving. Apple has not been testing autonomous vehicles for as long as other vendors. But its number of disengagements is quite surprising. The higher disengagements could be because Apple hasn’t yet worked out kinks in the software or because its drivers are more cautious than other companies. Some people on Reddit speculate that the tech giant might be deliberately reporting higher disengagement numbers to avoid driving attention to its not-so-secretive Project Titan. It’s worth pointing out that the self-driving car disengagements are self-reported numbers, which means there is little accountability. Companies could take liberties while reporting the data. Back in 2017, the iPhone maker had criticized the existing disengagement reporting system, saying that it doesn’t bring “transparent and intuitive data on the safety of the vehicles being tested.” The California DMV requires companies to submit their disengagement reports on January 1st of every year. The Cupertino company’s self-driving car project has been the talk of the town for years. Under the so-called Project Titan, Apple originally intended to build a full-fledged autonomous car from scratch. It was supposed to launch in 2020-21. 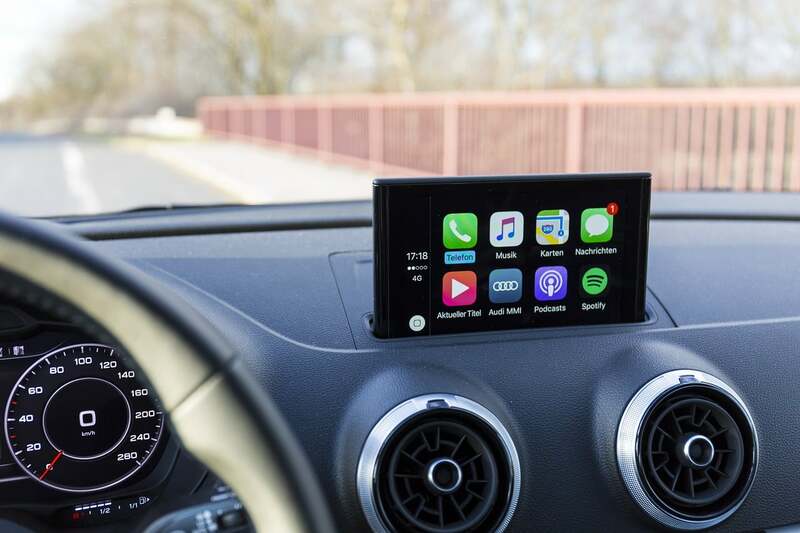 But after facing several hurdles, Apple scaled back the project to focus on developing the underlying autonomous driving systems first. It could build a car in-house or in partnership with another company in the future. Even if Apple chooses to build its own cars, the so-called Apple Car is still several years away. Last month, reports surfaced that Apple had laid off more than 200 employees from the self-driving car project. However, Apple continues to believe that autonomous systems represent a huge opportunity. The company’s recently patent filings hint at an inter-car communication technology that could make self-driving cars safer. Another report claims that Apple is working to add the Face ID technology to its cars, allowing users to unlock their vehicles via biometrics. The post Apple Is The Worst Performer In Self-Driving Car Disengagements appeared first on ValueWalk.